The psychology of the mind which includes disturbances of the emotions, perceptions, & intelligence is viewed differently in Ayurveda from twenty-century medicine. To understand Ayurvedic concepts in this regard we must first analyze in detail the science of Prana, Tejas, & Ojas. Also we need to be familiar with the science of Yoga and its relationship to Ayurveda. “Prana carries a sensation through the vagus nerve and phrenic nerve into the cardiac plexus. In Sanskrit the pulsation is called Prana Spanda. Spanda which is the pranic current from the hypothalamus to the heart, moves at intervals of .08 seconds and stimulates the pacemaker sinoatrial node (the SA node), which is present in the right atrium This is how Prana regulates the heart.” Here we can see how the relationship between the brain and heart operate. Psychological imbalances affect Prana, Tejas, and Ojas. Prana is responsible for the adaptability and creativity of the psyche, without which we suffer from depression and mental stagnation. 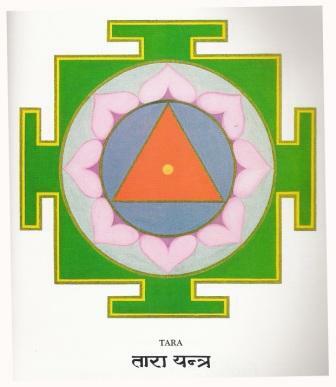 Tejas govern mental digestion and absorption without which we lack clarity and determination. Ojas provides psychological stability and endurance without which we experience fear and anxiety. By monitoring and treating Prana Tejas and Ojas most psychological problems can be alleviated. The energies of the subtle bodies and all the subtle nadis or channels (Prana, Tejas and Ojas) are the essential vehicle for resolving psychological disorders. The methods of Yoga and Pancha Karma are one system of balancing and improving the quality of Prana, Tejas and Ojas. They bring natural order and balance to the neurohormones and metabolism and improve the endocrine metabolism; thus providing fortification against stress. Yogic practices for the treatment of stress and stress related disorders are remarkably effective and becoming more available in the western world. In Sanskrit the word for Psychotherapy is Sattvavajaya which literally means bringing pure consciousness to life or bringing awareness to pure consciousness. When Prana Tejas and Ojas are purified or rendered more Satvic, psychological well being is a natural effect. 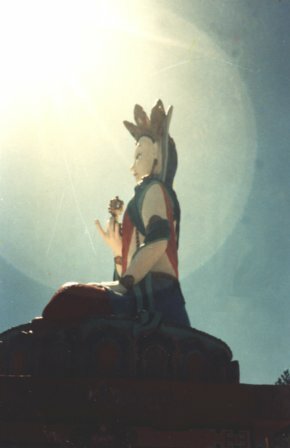 Vajra Satva is the most ancient symbolic representation of that pure quality we all need to return to in our healing journey. Detoxifying the Nadis is the first step on that path. To do this we must learn how to work with Prana, Tejas, and Ojas. Vajra Satva literally means indestructible purity.